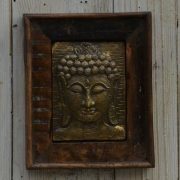 A charming elephant carved into a wooden panel. 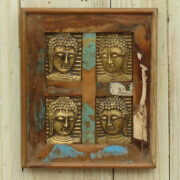 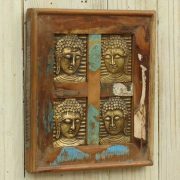 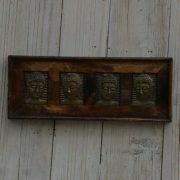 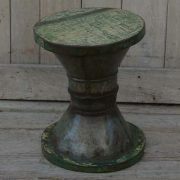 This charming hand-carved wall plaque was sourced in the Jodhpur region of Rajasthan, India. 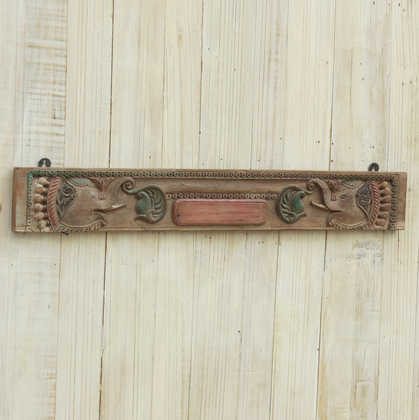 With two elephant heads either side of a floral border, this plaque would be the perfect addition to any room, particularly a hallway, nursery, or childs bedroom.